Vibram FLAME is a specific compound for work and safety soles with required flame resistance that meets the EN15090 and NFPA performance and our legendary standards for grip and durability. Vibram FLAME satisfies all ISO standards for protective outsoles including tear strength resistance, oil resistance, hot contact resistance, and flex resistance. 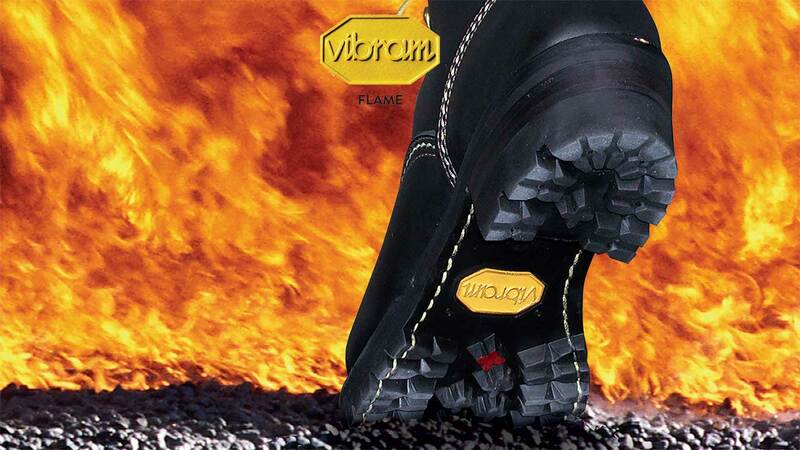 Vibram FLAME is recommended for fire fighting industrial applications and other related activities where heat and/or flame resistance is essential.